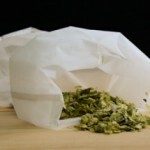 Coarse Cheesecloth Bag for steeping specialty grains in extract brewing. 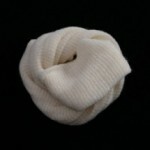 You will find many ot..
Fine Nylon Mesh Bag With Drawstring. 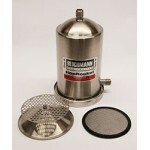 Great for steeping hops, herbs and spices and more. ..
Small Nylon Bag with a flat bottom. Fine Mesh. 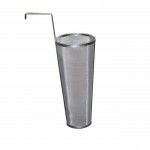 12" x 19" ..
Anvil Brewing Equipment high precision digital scale has a 4”X 4” stainless steel weighing surface a..
11 lb. capacity. Accurate to 1/10th ounce. Weight mode in grams, pound/ounces, and ounces. Also has .. 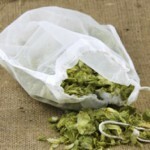 The HopRocket™ is an innovative, feature packed hop infusing tool! 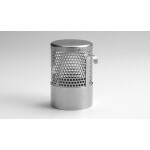 Not only can it be used as a hopb..
HopBlocker™ Traditional screen filters draw from the bottom of the kettle — immediately sucking all..
Super fine stainless steel infuser for Hops, Herbs, Oak and more. 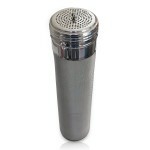 Solid bottom, 300 micro..
Super fine stainless steel infuser for Hops, Herbs, Oak and more. 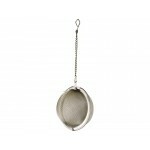 14" tall infuser can suspend..
3" Diameter, Stainless steel mesh ball on a chain. 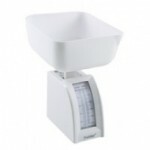 Useful for herbs, spices and small amounts ..